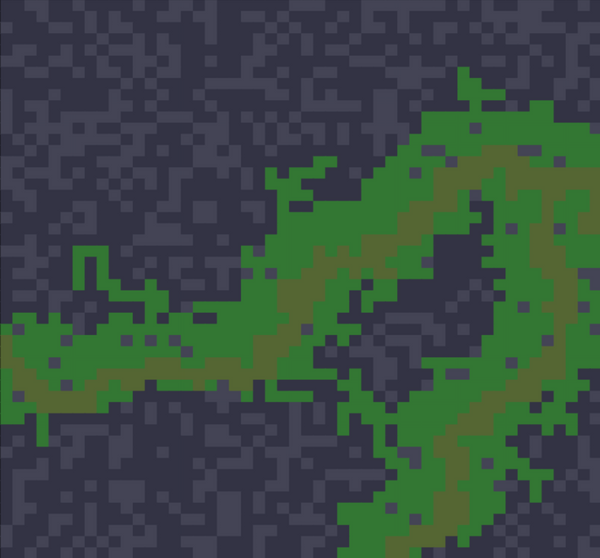 Create a small map of perlin noise and a wide map of perlin noise. Add the two together and give the large map a weight of 3 with the small a weight of 1 and render the result with different breakpoints. This is ref map A. We create a large map of perlin noise to conjoin atop the existing map to allow cliffs to show up at certain breakpoints within the existing breakpoints of A. This is ref map B.
Nathaniel Inman walks through the exhumed river channel procedural content generation technique for random maps in 2d top-down video games. 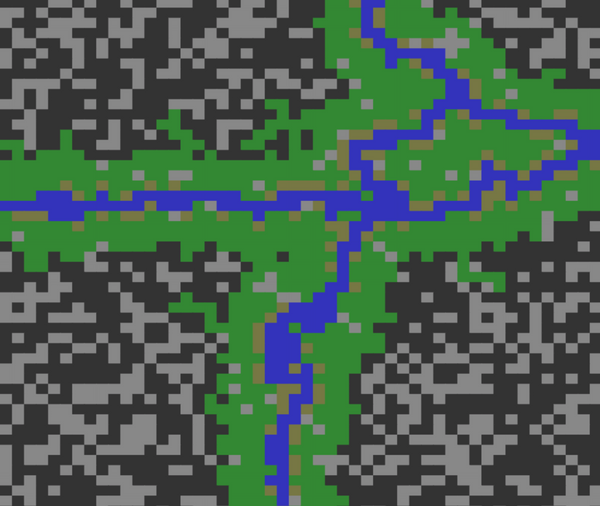 Rivers are usually hard to generate for 2d top-down games like roguelikes. Nathaniel Inman walks through some techniques to make this generation easier.